Today I decided to look into the potential performance of the luajit keyword a bit. It’s important to know if this can perform at reasonable speeds so that we can actually use it in real deployments. Even if we can’t the feature may still be appealing though, for offline pcap analysis. So far, the results are rather encouraging. First, I added 2 buffers today: http.uri, which contains the normalized uri (same buffer as the http_uri content modifier inspects) and http.request_line, which is the request line given to us by libhtp. This contains method, separators, uri, HTTP version. Next I created 5 rules. A pure Lua rule (1), a Lua rule with content prefilter (2), a Lua rule with content and pcre prefilter (3), a pcre rule with content prefilter (4) and a pure pcre rule (5). The script does a pattern match (regex even) against the request line, something I’d consider quite expensive. Pure pcre rules are bad, we all know that, but they end up being most expensive in this test which surprises me. The pure Lua rule is quite a bit cheaper and even ends up below the prefilted Lua rules. Only the content+pcre (no Lua) rule is slightly faster. So far things look rather good for the lua keyword. Who knows, maybe it can even be used on live traffic. 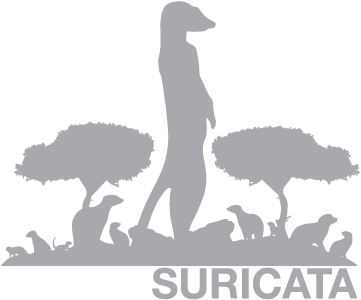 Today I improved the lua jit support in Suricata further. The scripts will now need to express their “needs” through an “init” function in the script that is called only at Suricata startup. The “init” function fills a lua table. This will allow the user to indicate what buffers the script needs to inspect. The script will then only be invoked when these buffers are actually available, so the script won’t have to worry about whether or not some data is unavailable or not. Also, only these buffers are passed to the script, so safing the overhead of copying unnecessary buffers. Currently only “packet”, which is the complete raw packet including protocol headers such as ethernet, and “payload” are available. I will extend this to include “stream”, “http.uri”, “http.headers” and so on. Also, I was thinking that the script could also require a flowvar or flowint. Here the the script always matches, and passes the match back to Suricata through a table. So Will started bugging me (again) on doing scripting from Suricata and I gave in. Just committed extremely immature, incomplete, experimental luajit scripting support. What it does is that it adds a new keyword, “luajit”. There is one argument, a script name. That script is then loaded from your rules directory and ran against a packet. No flow, http or any of that right now, just packets. The script has a “match” function that will return either 1 or 0. 1 for match, 0 for no match. The fun thing is that it works, but the best joke is that on my box this simple script makes no performance impact at all. To your ./configure line. Adapt for your distro.